PES 2015 To Feature Full Brasileirão? 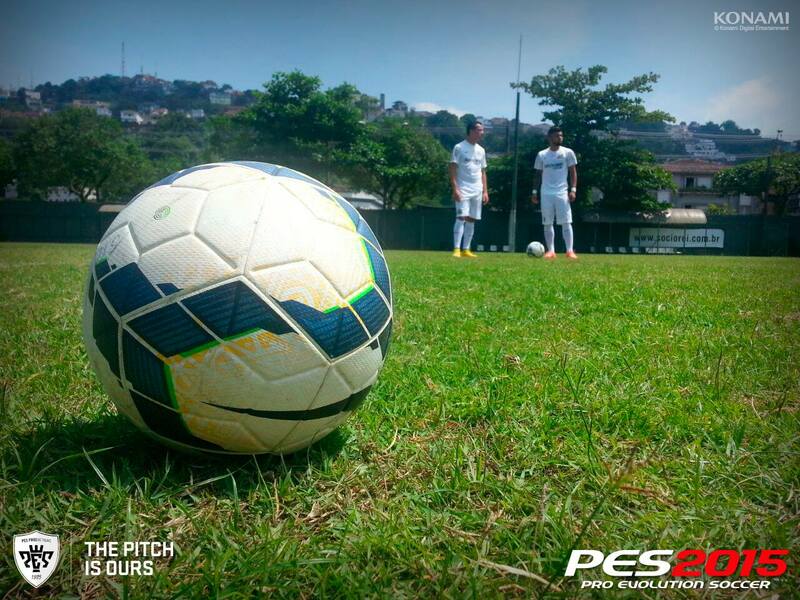 Brasileirão to be licensed in PES 2015 - Konami just announced that they "have big news and a great surprise for our fans on Monday", attached a picture showing the official match ball of Brasileirão and two Santos FC players in the background. The 2014 Brasileirão season ended some weeks ago with Cruzeiro winning a second consecutive title after 2013, while the 2015 season will kick off in May 2015 with four new promoted teams in Joinville, Ponte Preta, Vasco da Gama (already in PES 2015) and Avaí. Full Brasileirão License in PES 2015? This is the image tweeted by Konami, hinting at a possible Brasileirão license announcement on Monday. The Brazilian league is currently not licensed in PES 2015, although Konami acquired single team licenses with all 20 participating clubs. As of now, about half of the 20 teams additionally have full or partial player licenses, with Flamengo being the latest addition in Tuesday's PES 2015 Data Pack 2.00. Due to the difficult license situation, Konami had to negotiate player licenses with each and every player, which is a difficult and time-consuming task. Therefore, the large majority of players in Brasileirão are still fake-named and with wrong appearances in PES 2015 - including Kakà (Kada), or Adriano (Adrimarro). If Konami indeed succesfully agreed a deal with the Brazilian league to include all player licenses, this would be great news for all Pro Evolution Soccer players and Konami. The full Brasileirão could be added to PES 2015 either via the annual winter transfers Data Pack or even sooner with a special DLC.